Thank you for your concerns regarding this fall’s election Armando! Don’t worry, I’m sure as a Village Laguna board member you will have at least a couple of candidates to toe Village Laguna’s line and make sure that you and all of the homeless advocates in town get their concerns addressed. In the meantime you can rest assured that the residents of Laguna who are fed up with the squalor in the canyon and at Main Beach will be tuned in to the “coming debate” regarding solutions. I know what your solution is: build permanent supportive housing for addicts and chronic homeless in the most expensive real estate market in the country and hope more don’t come. Makes sense doesn’t it? It’s clear you’ve decided that my solution of a palpable police presence to deter and prevent the transient criminals from committing crimes will not work for you. You would prefer to continue on our path towards becoming the next Santa Monica, Santa Barbara, Santa Cruz or San Francisco. Our sister cities, where residents live in fear and whose streets are littered with trash, feces, and needles. You begin your letter by stating that, “Laguna Beach, like many other cities across the country, experienced a dramatic influx of homeless people.” Really? Was that before or after the ACLU sued us? “So to deal with this challenge, city leaders and nonprofit volunteer groups united to develop a solution that would be legal, humane and fair to all.” Fair to all? How is this fair to the 23,000 residents who’ve had to deal with an explosion of low-level crime and a diminished quality of life. Doesn’t sound fair to me! You then proceed to credit these failed policies with somehow saving Laguna from the “catastrophic increase in homelessness in Los Angeles, San Diego and Santa Ana” and then you exclaim, “Somehow our policies maintained the population at a manageable level”. How was that accomplished? 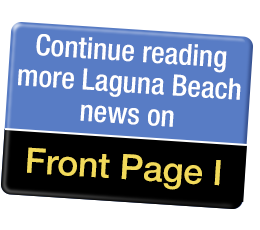 Were there quotas placed on how many transients could come to Laguna or how many could be dropped off by neighboring cities? Armando, why don’t you focus on Village Laguna’s other political goals? Acknowledge the control you and your political action committee have exercised for decades over our city. The property rights so many of us residents feel you’ve eroded while under the guise of “protecting” our city. Face it, you and Village Laguna are running scared because you can feel the end of decades of control that you have administered over us residents. Your endorsed candidates are going to be defeated this November. The residents of Laguna have had enough! I am looking forward to debating all of these and many other issues I feel strongly about in the coming months, and yes, I will reduce homelessness in Laguna Beach and return our town to the safety and quality of life we’re accustomed to and deserve. A clean and safe Laguna is our right!